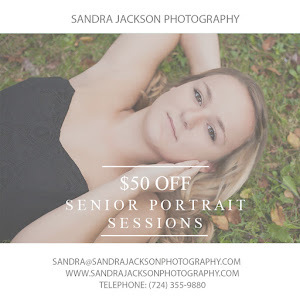 Emily's session was in Emlenton at Mineral Springs Park. For those who don't know, Emlenton is a hop, skip, and a jump North of Butler. It was a bit chilly but that didn't stop us. 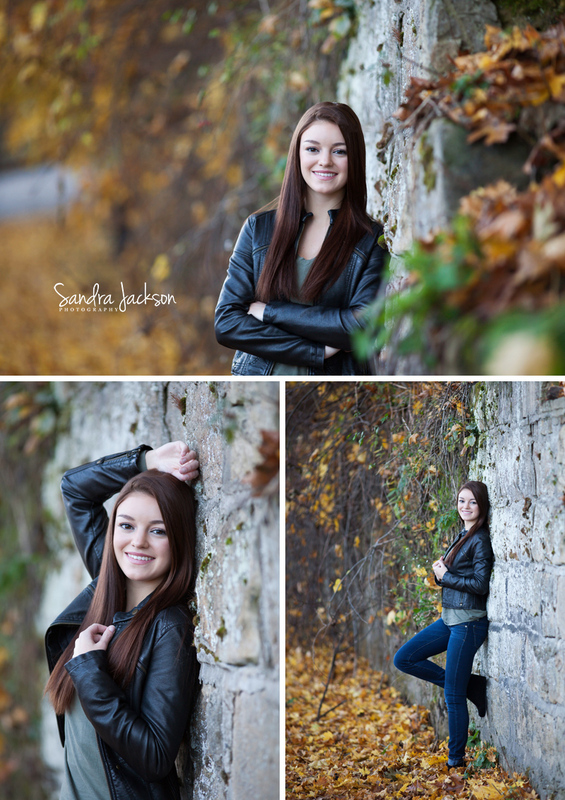 The leaves were so beautiful and Emily brought the best outfits along with a perfect smile! Who could ask for more? I loved that she and her sister posed for photos together. What a great memory! 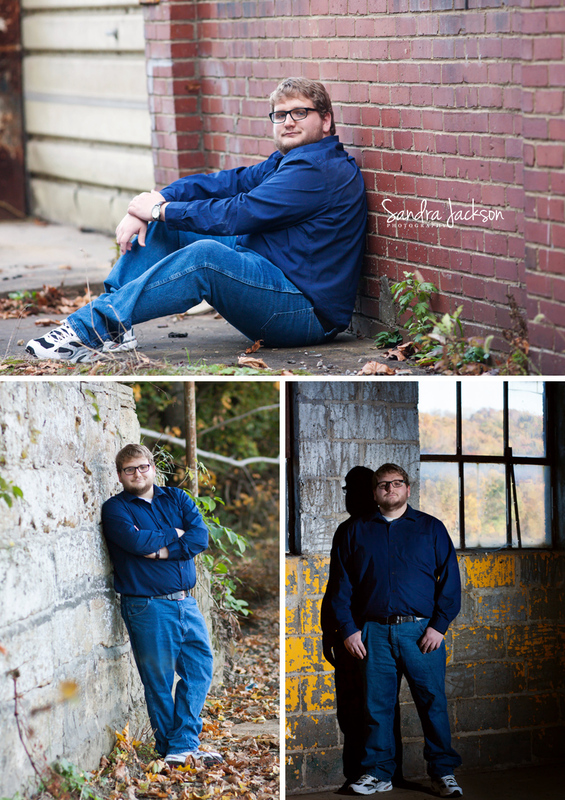 Kim and I had so much fun on this session. Emily, we hope you have much success in the future. Alex and his mom came to see us in Parker. We had his session by the river. 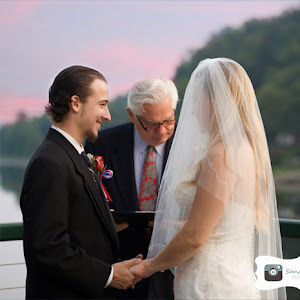 Our timing was just right because the new owner of the Parker Canoe building happened to be there and let us take some great shots inside his building. How awesome is that? 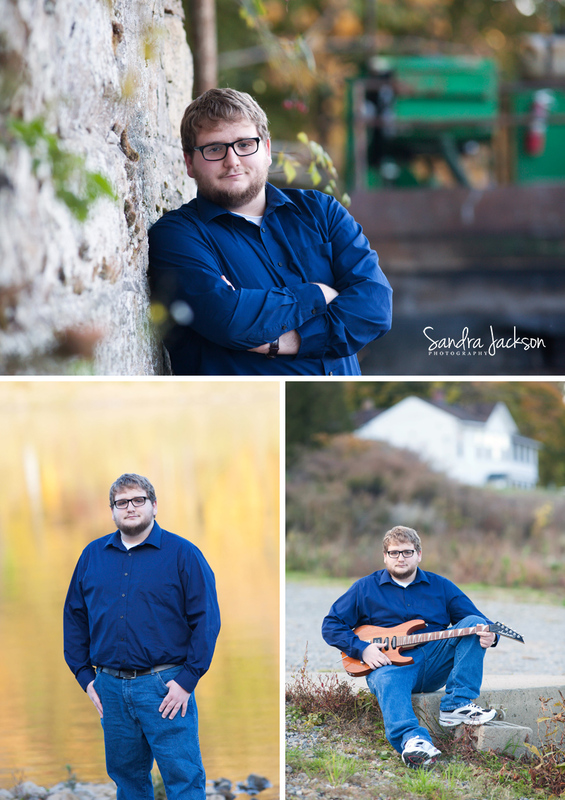 Alex also brought along his guitar so we were able to get some shots with it. Have I mentioned that I love guitars! I wish I knew how to play. Maybe some day. It was a gorgeous day on the river with amazing fall colors! Alex was a lot of fun! Good luck Alex! 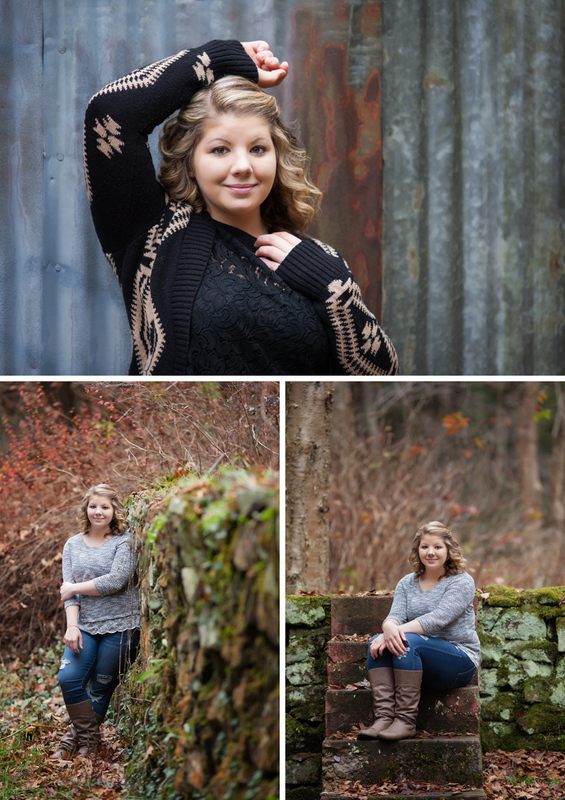 Emily is a senior at A-C Valley High School where she is a cheer leader. 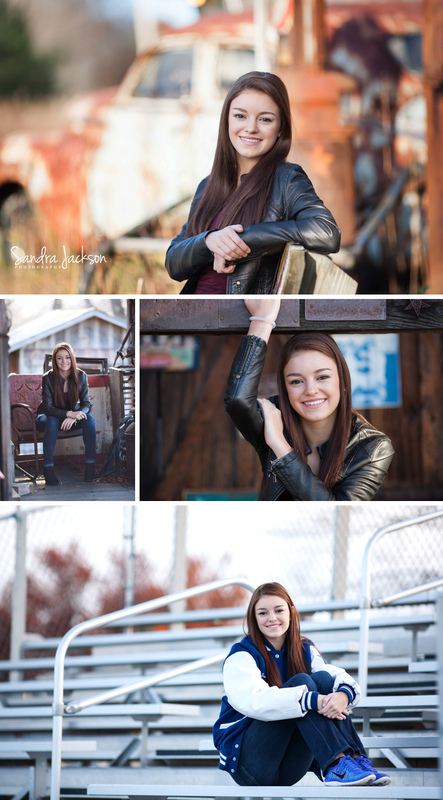 She is such a sweet girl with a great sense of style and a super fun personality. 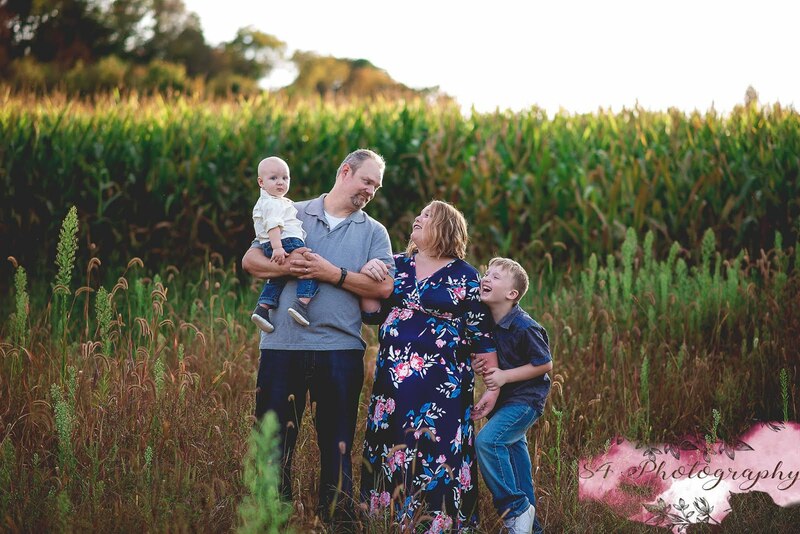 We had so much fun visiting a local land mark to take photos. It's the coolest place full of vintage signs. She brought her boyfriend along and the two were so cute! Her mom was a great help too! She held my reflector for me. She's hired! I loved that Emily wanted to get some shots at the high school. How fun is that? 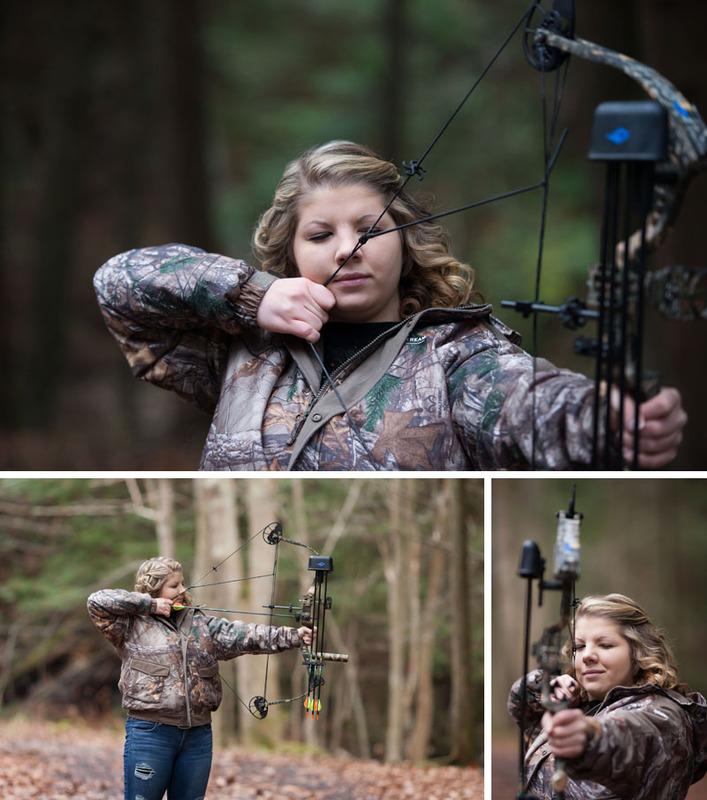 I hope you have a great year Emily and look forward to hearing about all the future holds! Good luck! 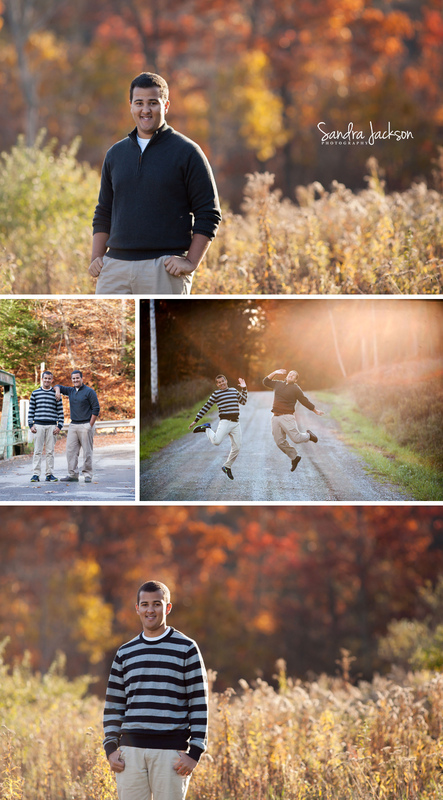 Evan & Jarren are truly two of the most fun Senior's we've had the pleasure of photographing. 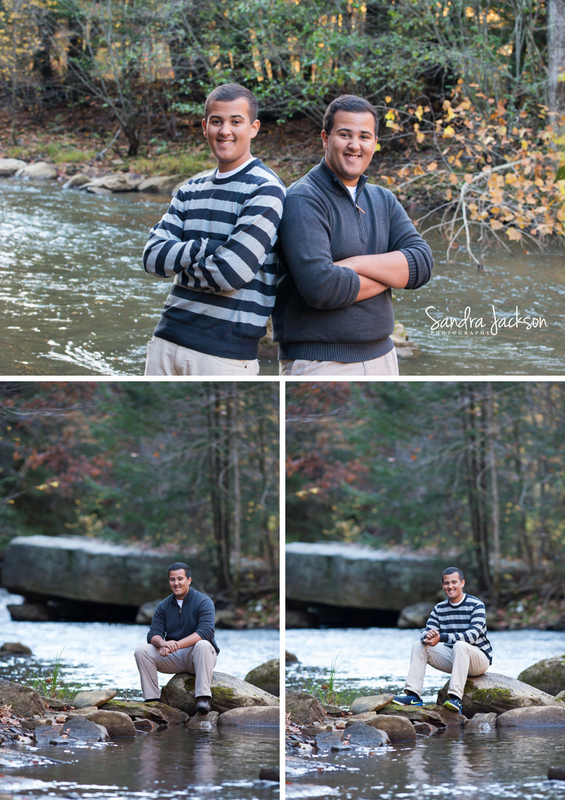 Our session found us traipsing through the woods just down the street from my house, balancing on bridges, and blocking traffic. It's a good thing we live in the middle of no where. These two were such good sports and did whatever we asked. I loved hearing them talk about their future plans and can't wait to see those plans become reality! Good luck you two! 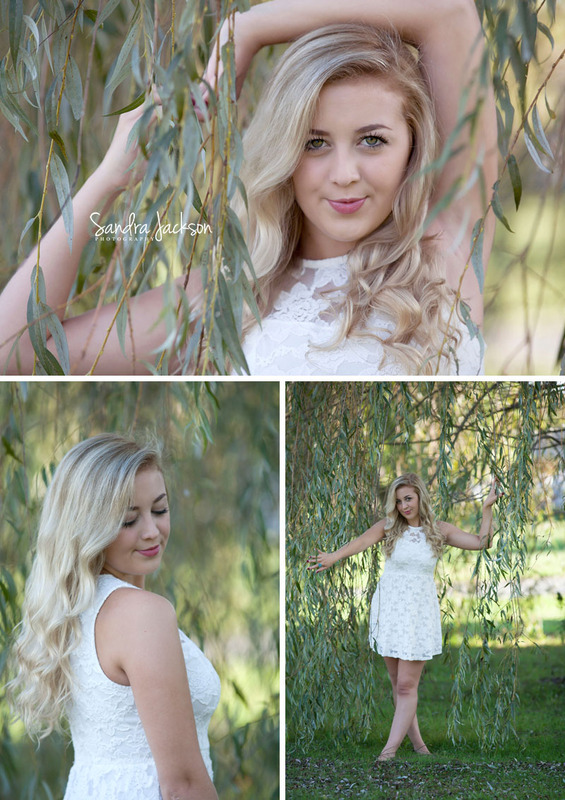 Sayde is an amazing senior. While attending school and working she is also a Junior Firefighter and a Junior City Council Member. 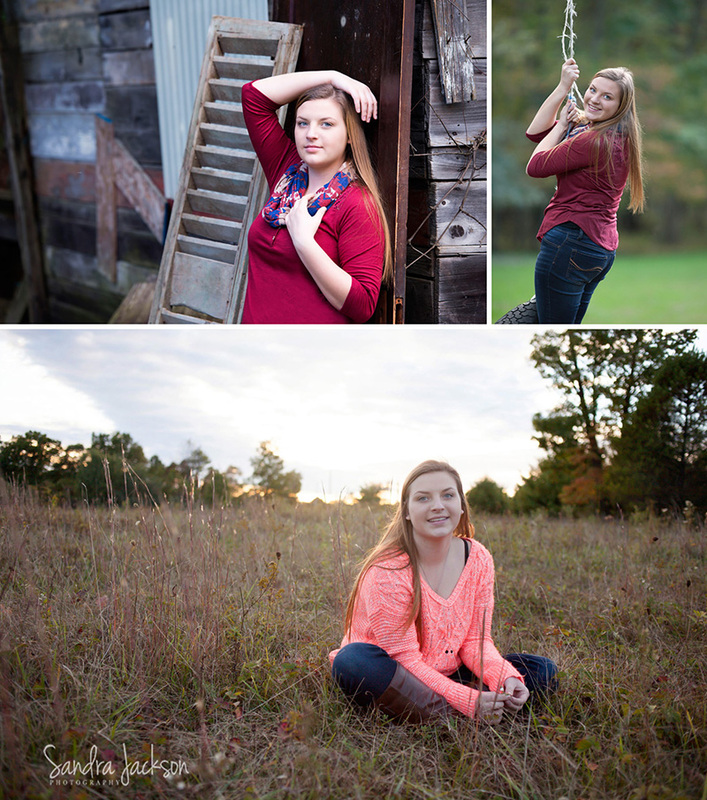 We had a great time during her session. 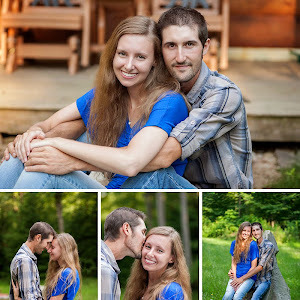 We took some photos around my favorite pond and then went to her families camp which was so beautiful! It was a perfect day with a beautiful sunset. We couldn't ask for more! Good luck Sayde! We know you will be successful in all your endeavors!